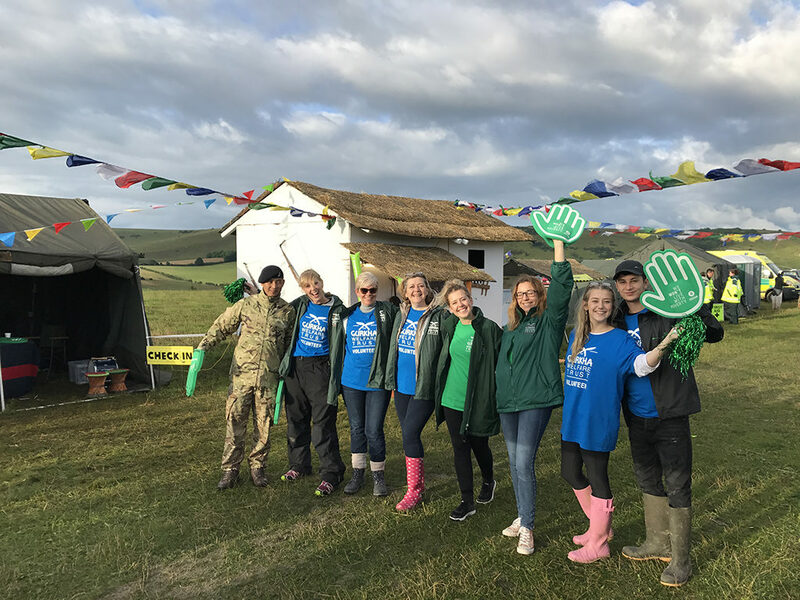 Organised in partnership with Oxfam, Trailwalker is the ultimate in long-distance challenges. Teams of four will take on an unforgettable 100km journey across the South Downs. The event is managed by Gurkhas. Gurkha teams lead the charge but thousands of competitors take part from all age groups. Nothing will beat the feeling of walking over the finish line… except maybe that first bite of the Gurkha curry that will be waiting for you! Trailwalker is a huge physical and mental challenge for those daring enough to take it on. Our fantastic team of volunteers make all the difference when the walkers are starting to feel like they can’t go on. Volunteering is fun at checkpoint 9! Volunteering includes cheering on the walkers, hosting registration tents and stewarding at checkpoints. It’s a truly unique experience and a great way to have fun meeting new people!